Appealing mehndi designs are no doubt filled with unique opulence and are considered truly effeminate in the eastern part of the world. With the tradition, going back to many decades, alluring henna patterns have now become the cultural distinction of Pakistan and the east. 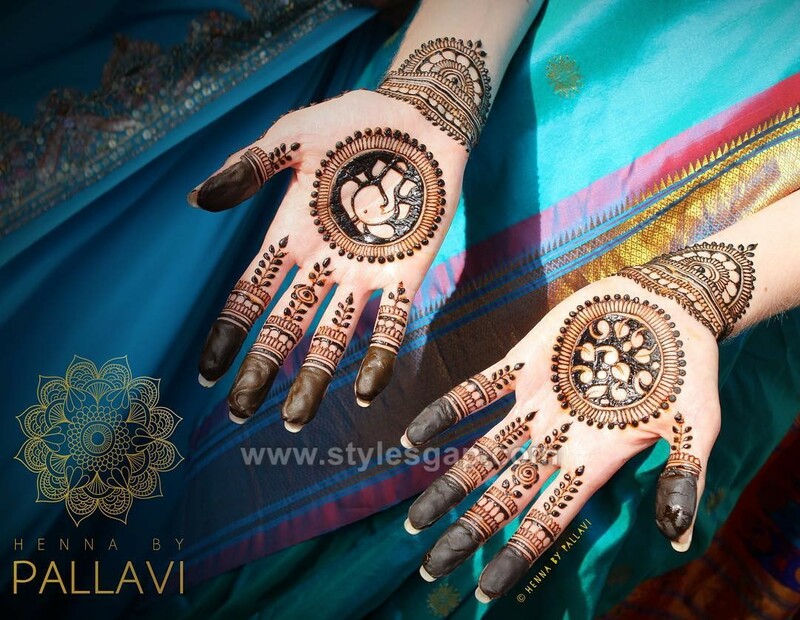 Diversity has stepped in with the variety of styles in Arabic, Turkish, Indian and Pakistani inspired mehndi patterns. It has, to become the part of the culture that now no celebration is completed with a light or heavy dose of henna patterns. 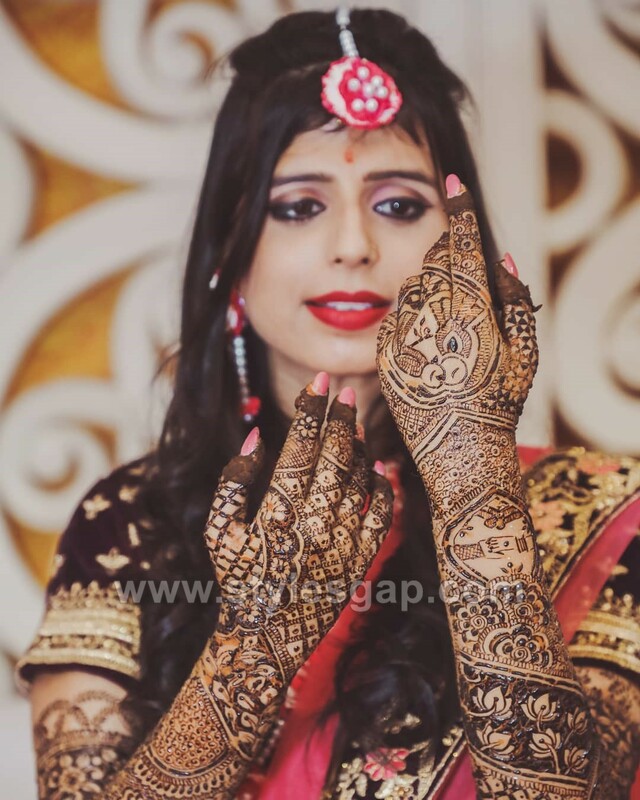 Weddings, especially are the occasions when a good and detailed mehndi designs for hands and feet become an absolute necessity for the bride and the bridesmaids. With such great demand, unique and neatly designed henna patterns are difficult to find. Keeping the latest trends in mind and following the right theme for the day, is the sure way to earn praises. 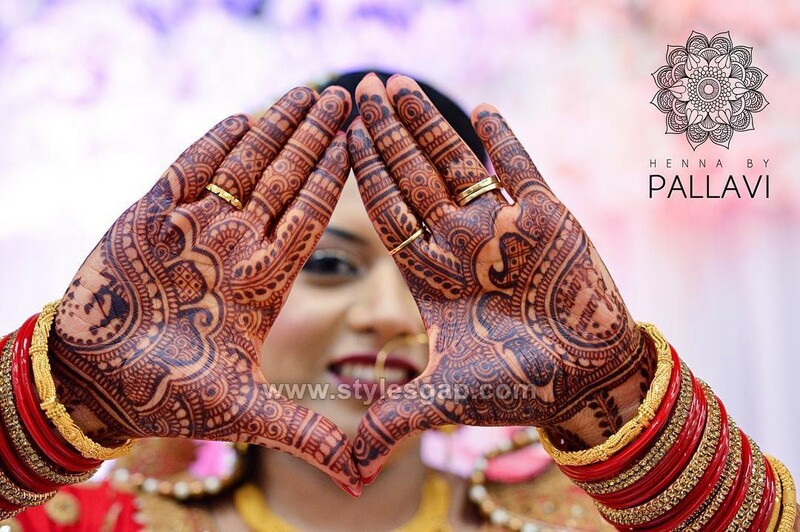 Like other streams of fashion, the henna art also shifts between various trends. As the years are passing by, the trends are moving towards more elegant and decent designs. Even for the brides, the designs are largely focused on central prominent motifs with more organized floral patterns. From the prints on the fingers to the patterns on hand, arm, and feet, everything is put together with complete syncing and coherence. Moreover, today’s henna art also incorporates such patterns which readily complements the embellishments of the dresses or balance it out. For instance, for a soft Valima wardrobe, the decent tikiya design with intricate borders suit perfectly, however for a sharp and sparkling dress the mehndi designs need to be more heavy, detailed and symmetric. 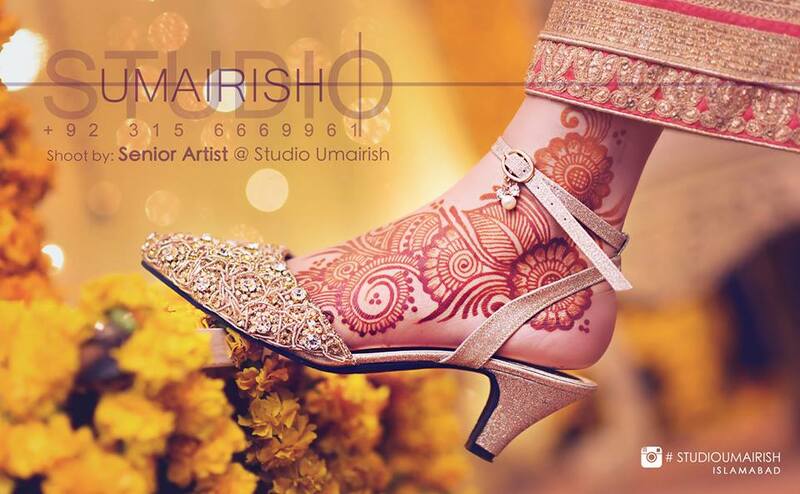 The famous eastern tikiya got a new twist in this mehndi design which is perfect for the latest bridal makeovers. For any celebration and variety of couture, this design deems suitable as it is a perfect mix of elegant and delicate twisted floral patterns intertwined in the traditional tikiya. 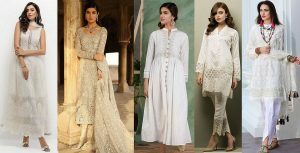 For brides of today, tikiya is one design that tempts all, so uniquely crafted patterns like these are one great happy news for all. Carry it with a heavy bridal dress or light mehndi outfit, it flaunts every style. A design which can balance the finger patterns with the basic motifs of the hand are truly rare, but this one combines both well with a minimalistic style mehndi design. It incorporates the finger loaded tips with the descending floral looms and dotted patterns. It is not too heavy and not to light, just the perfect amount to suit the event. 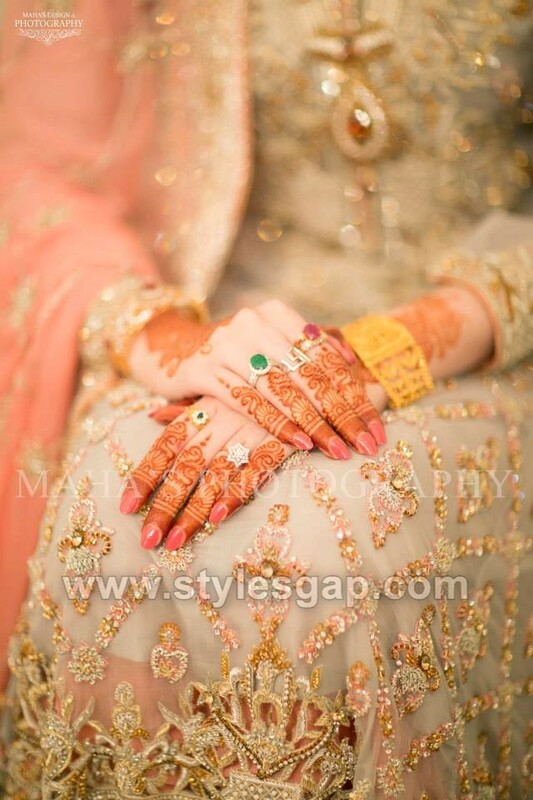 Contrast that stands out loud, is one good mehndi design which sparks the best of the bridal couture. The dark henna impressions are balance out with archetypal motifs and prominent fillings. The motif highlights the center of the hands and the fingerprints descend lightly through the light floral blooms. The intricacy of the patterns complements the heavy embellishments of the bridal dresses, perfectly. Let alone these designs amplify the beauty of the hand. Keep it simple and elegant to balance out the heavy makeover for the day. For an elegant Valima makeover, this light and intricate tikiya design suit best. It highlights the fingertips and that appealing nail paint with the dark and filling borders. Central intertwining tikiya pairs perfectly with the lined patterns on the fingers. Carry these amazing patterns with light and heavy jewelry on your special day. For a more appealing touch, the motifs can be extended up to the arms if you are carrying it with short sleeved shirts. 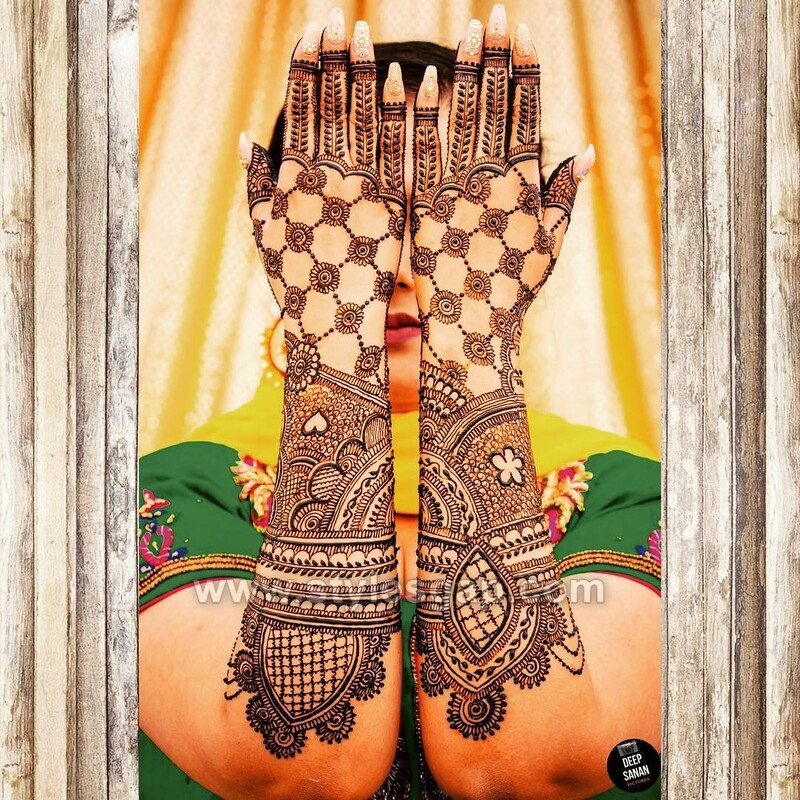 Finger loaded mehndi designs are perfect to highlight the curves and tips of your fingers. Spark some contrast using mehndi filled tips and colorful nail colors on top. The loaded tip is tastefully paired with interwoven patterns using lines and curves, which extends down to the middles while gradually diffusing naturally. To add more to the charm, the tikiya pattern also follows the same intricacy and uses very fine lines mixed together to create a well-balanced round. 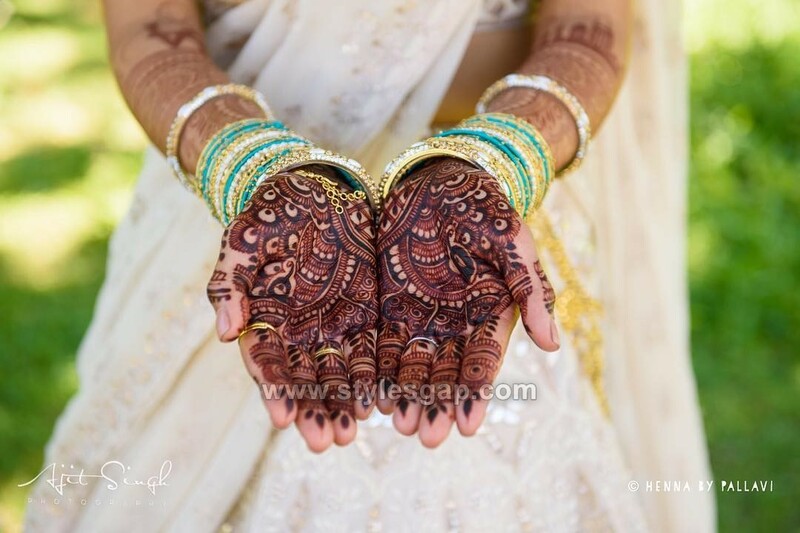 These borders are bold and prominent filled with contrasting shades of lighter henna. 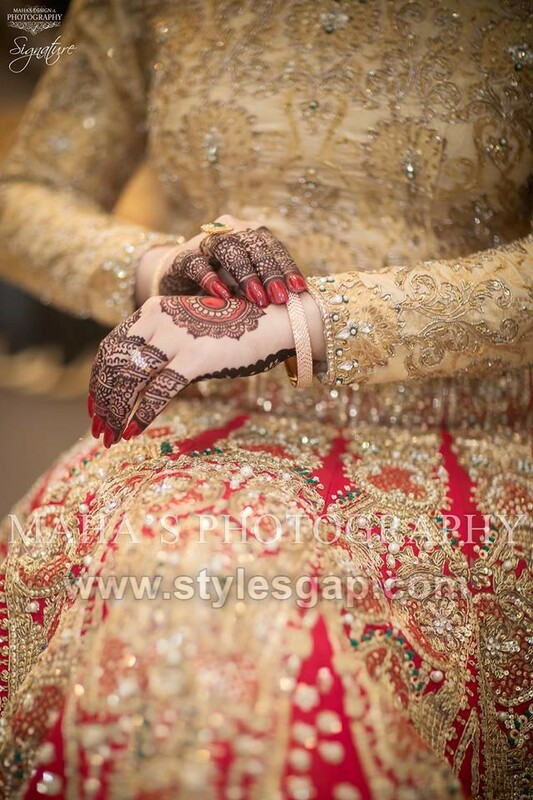 This is how a heavy bridal mehndi can work out best with your pretty red dress. This henna pattern is lately one of the most popular among all due to the appealing outlook of its darker shades and a well-balanced symmetry. It seems like an architectural marvel has crafted in the hands of the bride. Like many other tikiya patterns, it also follows the same basic structure but the dome-like shapes and the diffusing tips and swirls are adding most of the charms to the design. With brighter shades and colourful dresses, this mehndi designs will also make you popular among your peers. A soft touch of swirling patterns is what a girl needs to pair with a light wedding dress. 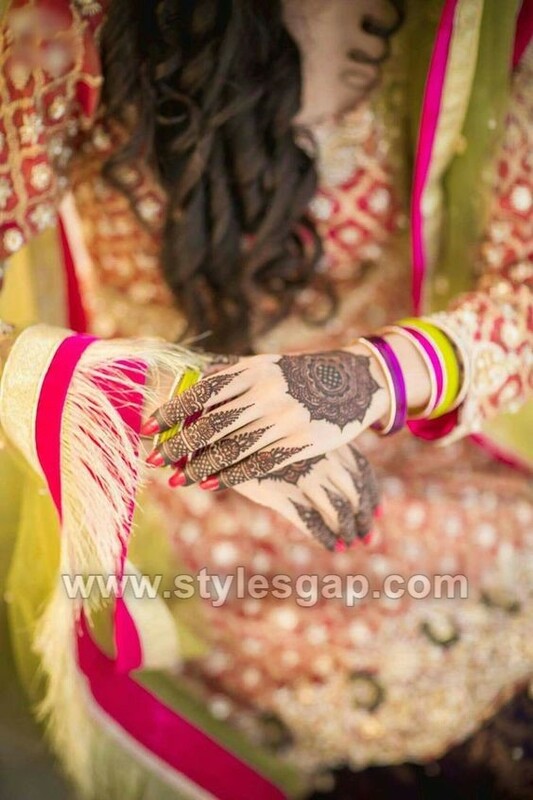 For those who do not like heavy and loaded mehndi pattern, they can definitely try this one. The intricate floral bail starts from the centre of the hand and extends down to the wrist. With full or quarter length sleeves, these henna patterns sounds perfect. The lighter the shades of the couture, the best it pairs to this mehndi design. This tikiya is the traditional set of encircling patterns rounded with extended tips and domes. The design is comparatively simple to design and doesn’t incorporate heavy patterns on the fingers. Just a single dot flower around the nails seems easier to design and lets you flaunt the beauty of your finger with full confidence. With a design as simple as this is perfect to carry heavy jewellery and many rings in the fingers. 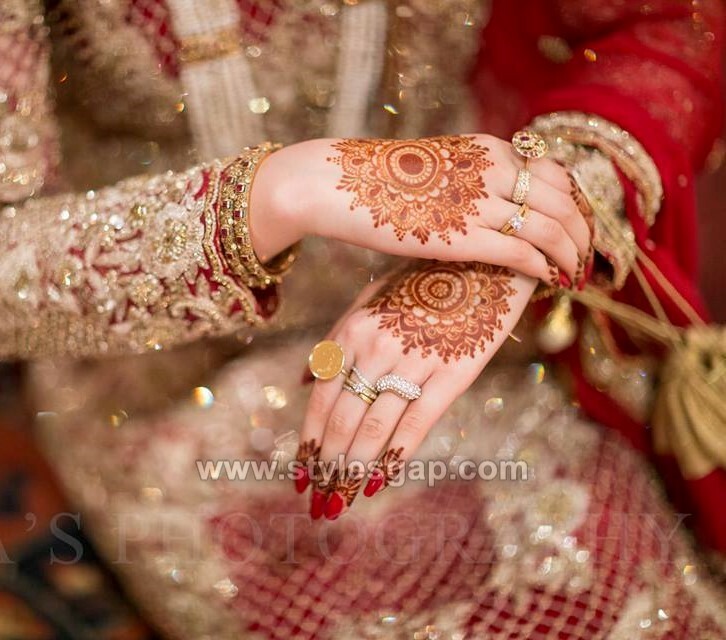 As brides need to carry lots of bangles and bracelets along with finger rings, the beauty of that jewellery does not stand out if there is heavy mehndi backdrop. But keeping it this way can also solve that problem. 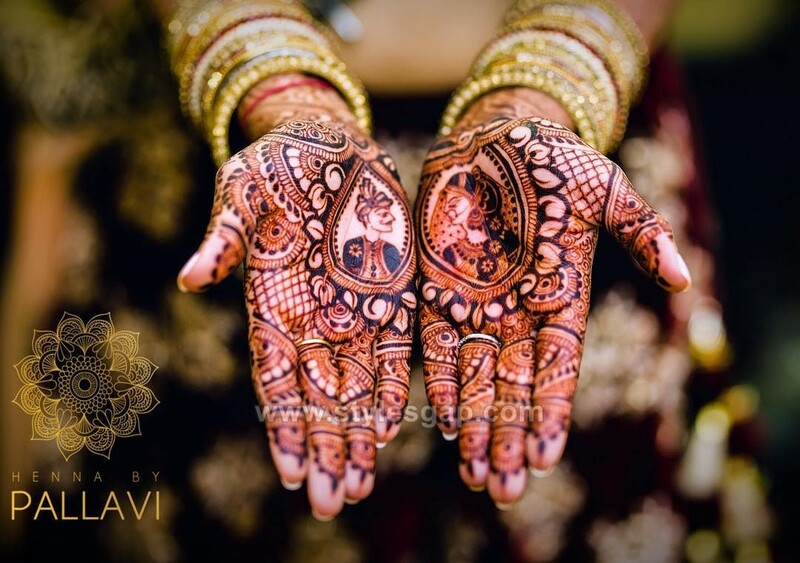 Pallavi is one famous Indian mehndi designer whose work is famous for distinctively creative henna patterns. In each design, there is something special which makes it stand out from the rest. 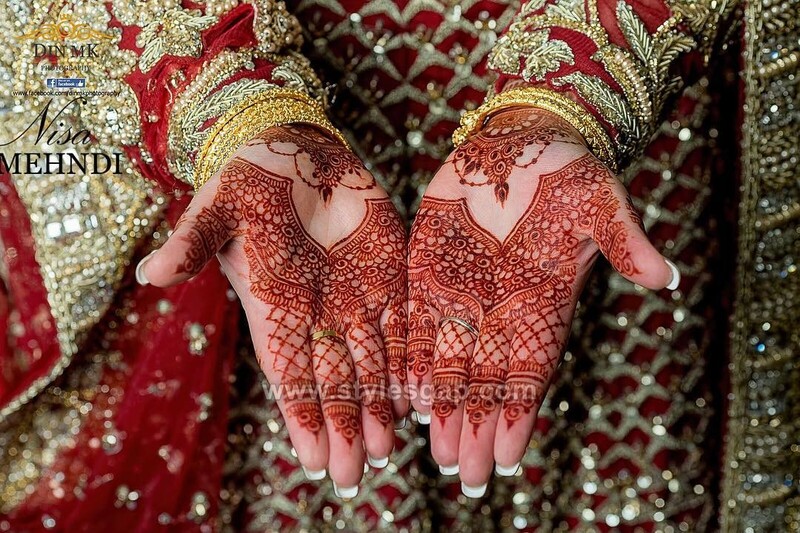 Moreover, there is also some customized or demanded motifs which are added to the mehndi landscape on a bride’s hands. 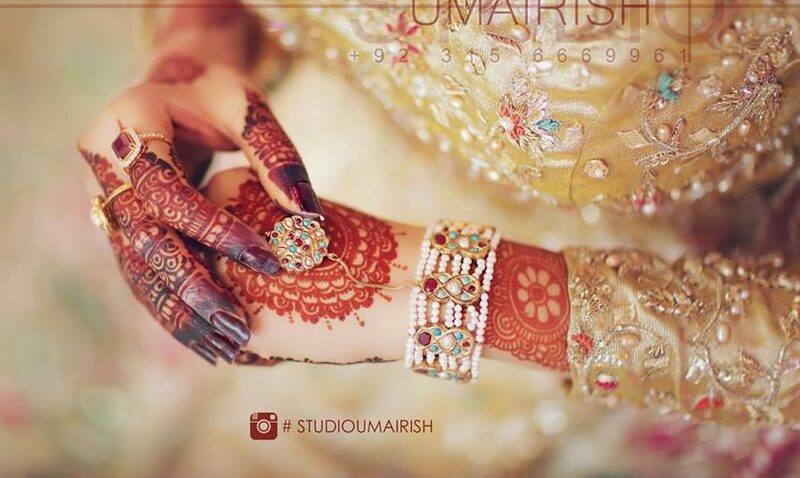 Whether it is the name of the groom or story of their love, it is somehow gets depicted through mehndi design. Other than this novelty, this henna pattern is highlighted with prominent curling patterns which carry the shape of a various flower petal, loud and prominent. 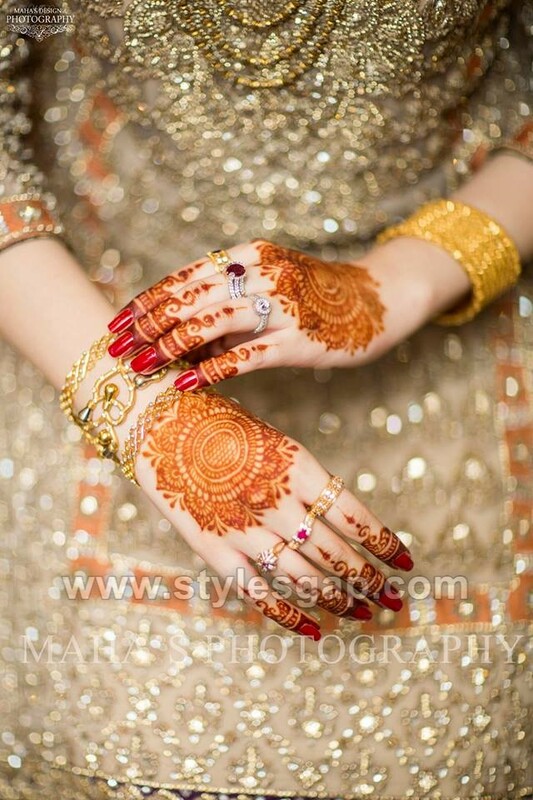 Quintessential mehndi patterns with the blast of traditional ethnicity are the want of the day. This Mehndi pattern, in particular, is quite a dose of basic Indian henna prints which are crafted all over the hands covering the back. Instead of separating finger motifs from the rest, the design is fused together to give an overall alluring outlook. The centre is however highlighted with the pretty tulip flowers, bordered with dark and heavy filling. The doom are best to pair these flowers with along with the extensive twigs and the curling patterns. Again a beautiful combination of interconnected motifs is on full display which is tasteful highlighting the curves of the hands and giving them a subtle and elegant outlook. 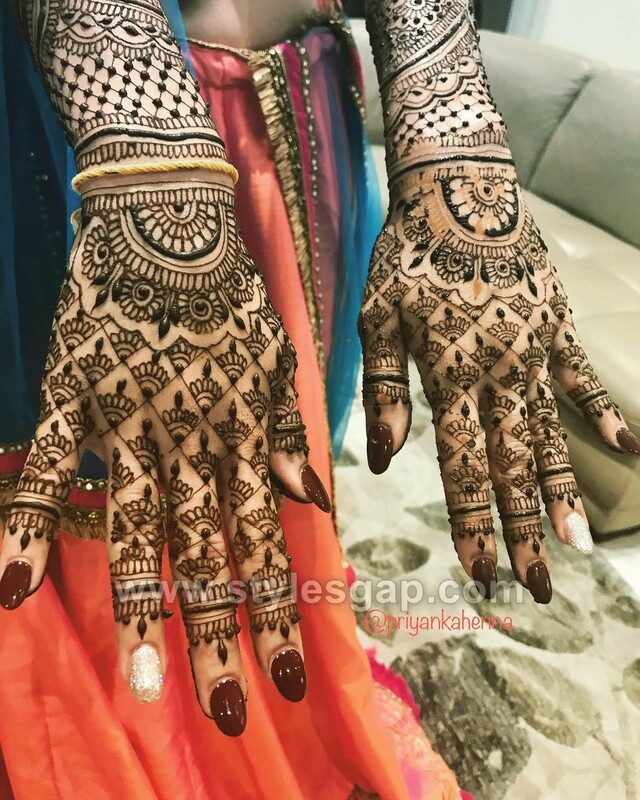 Though the design looks heavy overall the balance of outlines and no filling at all, give this pattern more edge over other bridal mehndi designs. It has more weight around the arms as the patterns are close and filled with a variety of symmetric designs, however moving upward towards the fingers it blends into a light and appealing criss-cross arrangement of pretty ‘bails’ The use of dots in between the rounded flowers is giving an amazing outlook to the design. Peacock patterns are famous for their distinctive style and they have been in trend since the time immemorial. Indian henna art is almost incomplete without a good use of peacock motifs, so why not blend it together with other pretty designs and get something creatively unique out of it. Keep the same idea in mind the designers crafted this pattern and added the peacock patterns to the overall theme of henna in just the right amount and the right place. The design suits perfectly to the feet as the prominent peacock motif is centralized and surrounded by complementing patterns. Such a neat ensemble of nicely created motifs. The combination of the wristband, the central tikiya, and the loaded finger tops is best for both sides of the hands. Such simple designs serve best for every occasion, be it weddings or Eid. Girls of all ages can try these without worrying about the suitability of the pattern as it goes with every eastern wardrobe. Here the central round of the tikiya is crafted in a variety of ways with India orientation but variation can be added by replacing these with any other floral patterns of your choice. The key is to create a prominent contrast by filling the areas around the borders within that circle. Here is a pattern that takes your breath away with its sheer balance and beauty. A pretty design is one with a perfect combination of all forms prints brought together, and this pattern is parallel to that idea. It has lovely roses patterned together with criss-cross, block prints and rounded flowers. There is not a single style which is left out of it yet still the design looks simple and elegant enough. 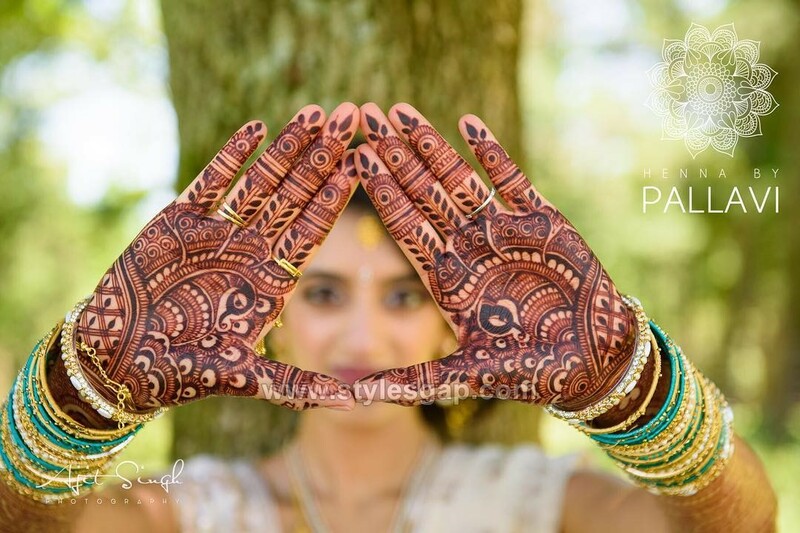 Tikiya’s with a well-crafted arm print is what every bride wants for the special day. Here the tikiya is not a simple beauty but it has flaring touch due to the curling extensions are drawn out of it. Every ring of the centre is paired with the designs on the arms and that is what adding the balance to this specific design. 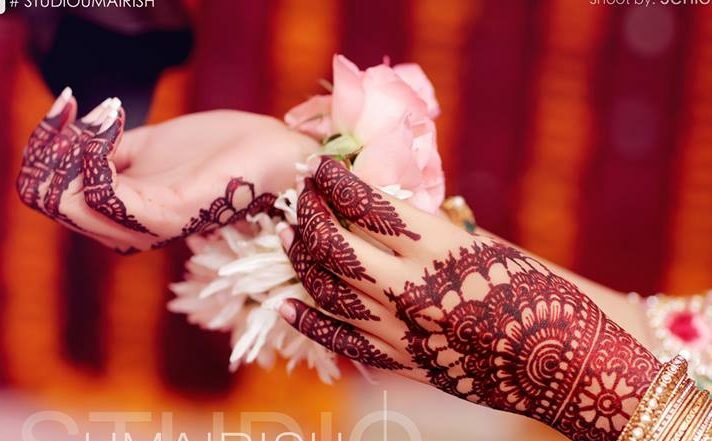 Capture the day in the beauty of your mehndi design using this specific pattern as it can hold the date and symbols attached to your special day. Though this print is also focused around the centre and a heavy prominent tikiya in a more floral style, it is closely surrounded with bordered patterns which are stealing the focus and adding a distinctive charm to the design. Intricate swirls and curls are heavily used to fill up the spaces and it looks amazing. 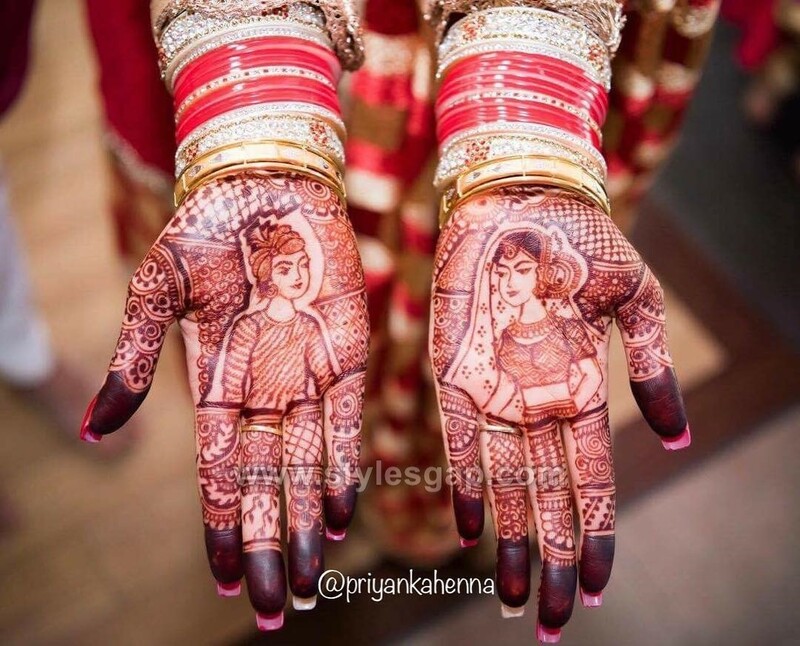 Drawing portraits in the henna art take us back to the old days when the bride’s hands were used to portray the beautiful story of their journey. The two better halves are drawn with a perfect chemistry which every bride would want to carry around. Further, the portraits are beautified with the use of side patterns and crisscross arrangements. Fingertips are highlighted with the filling effect. Another great way to add peacocks to the henna pattern is to use bold and dark outlines without any extra filling. The design is a beautiful mix of the peacock feathers on one side and the blooming flower petals on the other. Centred by a peacock the design gets a curvy charm. Fingerprints are kept simple to balance the rest. 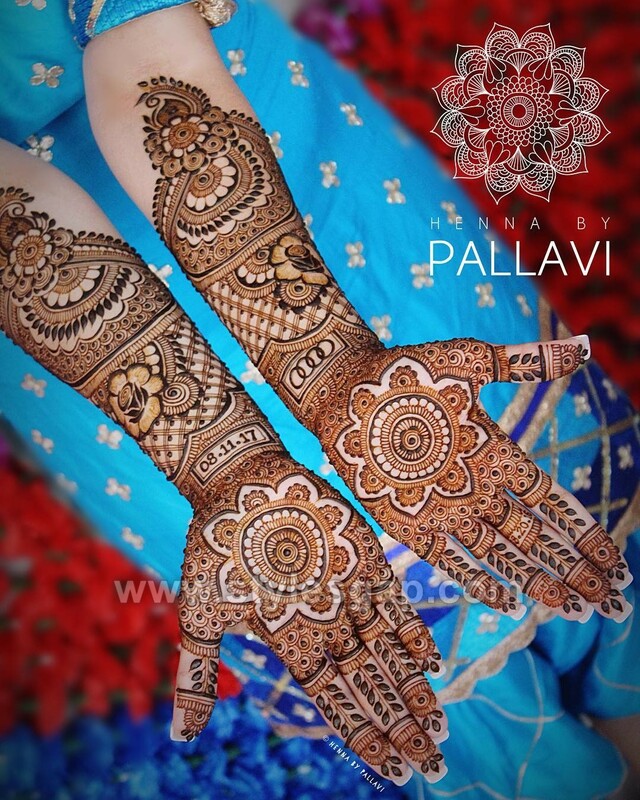 This beautiful peacock bridal mehndi design is so delicate and trendy to choose. As clear in the picture black color is used which looks so prominent and best for your wedding day. 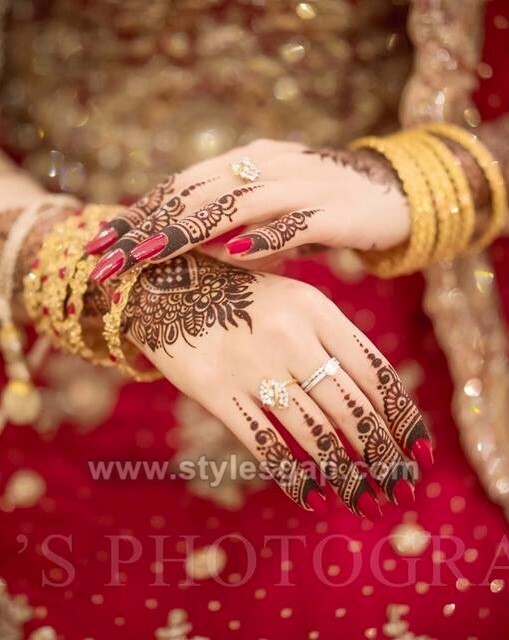 Another mehndi pattern which made use of fine artistry in the portrait images of the bride and the bridegroom. It seems like the beauty of both are captured in a mirror and bordered with a nice trail of floral prints. The rest is filled up by the filling lines, curves and swirling prints. Fingers are adorned with the crossing domes extending from one end to another. Intricacy reaches to a next level when you observe this ultra-delicate mehndi style which is loaded minutes and elegant interconnected rose flower around the central tikiya. It does not only use the light and thin outlines but also incorporated bold and heavy links in between. Especially those dots and the floral rings are a highlight with a heavy coat. The loaded finger patterns are nicely complementing the arm and wrist prints which are filled with minute curls and fillings. With one central semicircular motifs near the wrist, the design takes a different approach using crisscross arrangements. These are not simple crosses but are adorned with shooting flowers in between. The style is good to extend throughout the fingers and takes up all the space. For simple yet heavy overdo, this design for the back of the hands seems perfect to carry around. 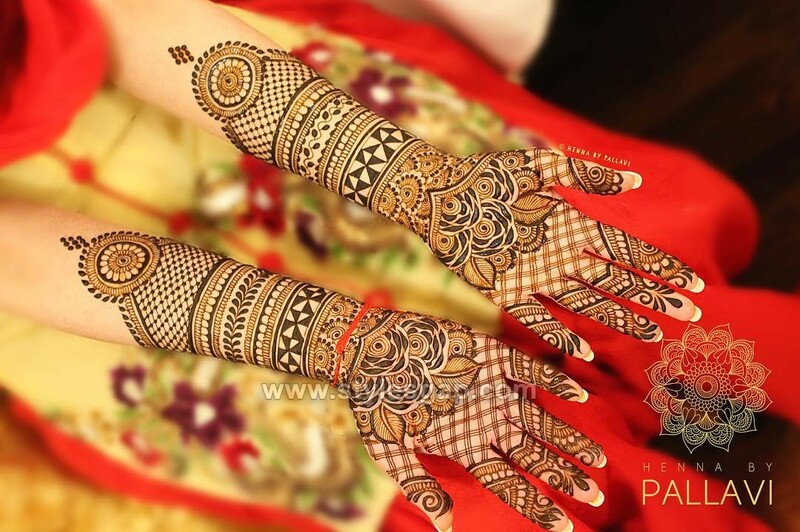 It looks the heavy and pretty bridal mehndi design is produced using different sets of motifs confined into separate borders. Each set is overlying on the other diagonally, thus making it look unique overall. On the arms the design incorporated large, conspicuous and prominent flowers whereas moving towards the fingers it gets more fine and intricate, ending up to the fine lines crossing each other in perfect sync. This classic Indian foot mehndi design has the traditional touch as it incorporates the use of elephant near the ankles and flaring floral prints. It only depicts the ancient culture but highlights every element of that culture in its own specific way. With no filling and medium outlines, the design is good to carry on the special occasions. Like the floral criss-cross mehndi design for the hands, this foot pattern uses the same technique and theme which gives a filling and heavy touch to the overall outlook. It starts with the central prominent band of flowers which is bordered with the nice combination of the elegant floral network, extending down to the toes. Whether you are a bride or bridesmaid, this mehndi style will equally tempt you all due to the heavy nature of its prints. Besides the traditional dotted floral patterns, there is also a good use of tulip art bordered with fillings around to the highlight the outlines. Fingers are heavily tipped with loaded filling which is then balanced with crossing prints extending down below. Such heavy designs look great with soft and pastel shades of nail paints. Certainly a light and intricate design which goes best with the heavily embellished bridal dress. 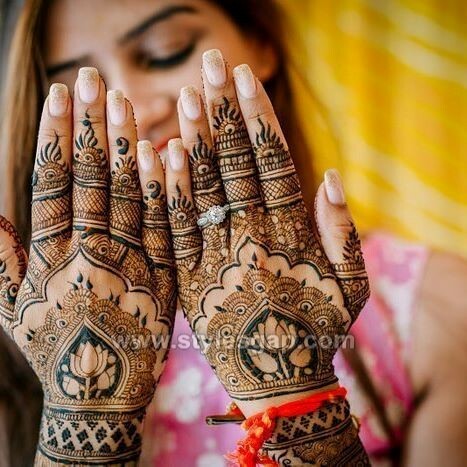 The twisted mehndi patterns start from a wristband and pointed motif, which is then bordered with the extending design covering the rest of the hand and fingers. Carrying the same design at the back of the hands also suit best as it is light and pretty to carry with heavy bridal rings and bangles.